Malta, an island in the heart of the Mediterranean Sea, with the most appealing location and a comprehensive range of facilities, has been highly regarded as a maritime nation. Malta’s historical sites with the sea continue to provide opportunities in the maritime sector, including various attractive solutions for yacht and yacht owners. The island’s location has given it great strategic importance and Malta is now recognised as being an entree-port to the EU. This all creates the right environment for the island to become a resourceful service centre for every aspect of the superyachts service industry. With over 30 years of experience CSB Group has a team of industry experts to help you register your yacht and help you with any other yachting requirements you might have. Fill the form here and we will get in touch with you within the next 48 business hours. Malta offers yacht marinas that are located all over the island. Most marinas are equipped of high end facilities and range of services to satisfy all yacht owners’ necessities including fuel bunkering, technical services for repairs, luxury on-site facilities and immediate access to other off-site facilities. Yacht Registration in Malta offers various advantages. Through the ratification of most of the International Maritime Organisation (IMO) international conventions, it developed a very suitable and highly competent legal structure to provide for an efficient registration process. All of the above is complimented by other factors such as low yacht registration costs. A yacht that is imported into EU waters with the intention of re-exporting it may be temporarily brought into the EU and used for private purposes without customs duties or VAT being paid on the value of the yacht. The leasing of a pleasure yacht from a Maltese company may be subject to reduced rates of VAT, even though the yacht is used within the waters of the EU VAT Zone. The effective rate of VAT, may be as minimal as 5.4%, however the exact and precise rate will be calculated on a case by case basis (depending on the length and propulsion – power of sailing). This scheme allows the exemption from the payment of VAT due on importation of the goods from outside the European Union when the place of first destination is Malta, insofar as the goods are intended for the subsequent dispatch to another Member State as an intra-community supply following their release into free circulation authorised by the Maltese Customs. Commercial Yachts when sailing within outside the EU member state with duration of no longer than 90 days can qualify for a reduced rate of VAT applicable on the charter value. The owner/operator of the charter is entitled to claim 18% input VAT on the fuel and value of the yacht, and the supplier of the charter is eligible to claim input VAT to its next port of destination after the completion of the charter. Any specific request that Yacht Master/owner may require. Malta is situated in the heart of the Mediterranean south of Italy. The Maltese archipelago consists of mainly three islands: Malta, Gozo and Comino. The yachting paradise based around breath taking natural harbours and top class yacht marinas. The main international ports are Valletta Grand Harbour and the Port of Marsaxlokk. Others are located in the picturesque Kalkara Creek within Malta’s Grand Harbour, Portomaso Marina – in an exclusive and boutique yacht Laguna Marina, on the Valletta waterfront, in the innermost part of Marsamxetto Harbour which is the Msida Marina, Manoel Island Marina, Roland Marina and Royal Malta Yacht Club Marina which are both situated in Ta’ Xbiex. The second largest island, which is Gozo, has one port – Mgarr Marina, a perfect stop-over for anyone visiting Gozo or cruising around the Maltese Islands. 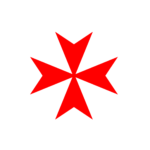 The Maltese Flag ranks as the largest tonnage in Europe and sixth largest tonnage in the World. The country is deemed as one of the leading providers of statistical services in the maritime sector and achieved the Malta authority’s vision as an international centre of maritime excellence in the Mediterranean.